The Rt. Hon. 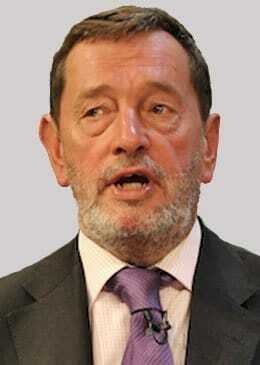 Lord David Blunkett is a former politician for the Labour party. Lord Blunkett was the Member of Parliament (MP) for Sheffield Brightside and Hillsborough, having represented Sheffield Brightside from 1987 to 2010. Graduating from Sheffield University with honors, he subsequently worked as an industrial tutor at Barnsley College of Technology where he taught courses on industrial relations and politics. Blind since birth, David Blunkett rose to become Education and Employment Secretary, Home Secretary and Work and Pensions Secretary in Tony Blair’s Cabinet following Labour’s victory in the 1997 General Election. As Education and Employment Secretary, he launched the Learning & Skills Councils, Job Centre Plus, the Equal Opportunities Commission and The Commission for Racial Equality, and established the Disability Rights Commission. Following the 2015 General Election David Blunkett retired from the House of Commons. As an after-dinner speaker, David delivers a wealth of entertaining anecdotes from his amazing 35 years in politics.